Cpl. 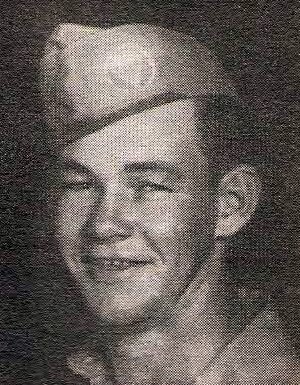 Alton Wayne Rogers, son of Mr. and Mrs. Noel Rogers, Olney, husband of Cassie George, attended Olney High. Entered Army Parachute, Troops, 1942, trained at Camp Roberts, Cal. and Ft. Benning, Ga. Served in ETO and Caribbean. Awarded Bronze Star, 5 Battle Stars, 2 Pres. Cit., French Cit., Purple Heart, 2 OLC, GCM and ETO Ribbon. Wounded in Italy, France and Belgium, 1944. Discharged in 1945.